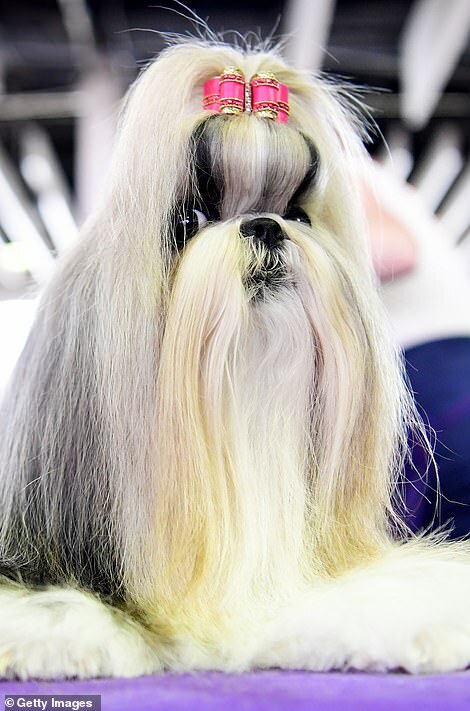 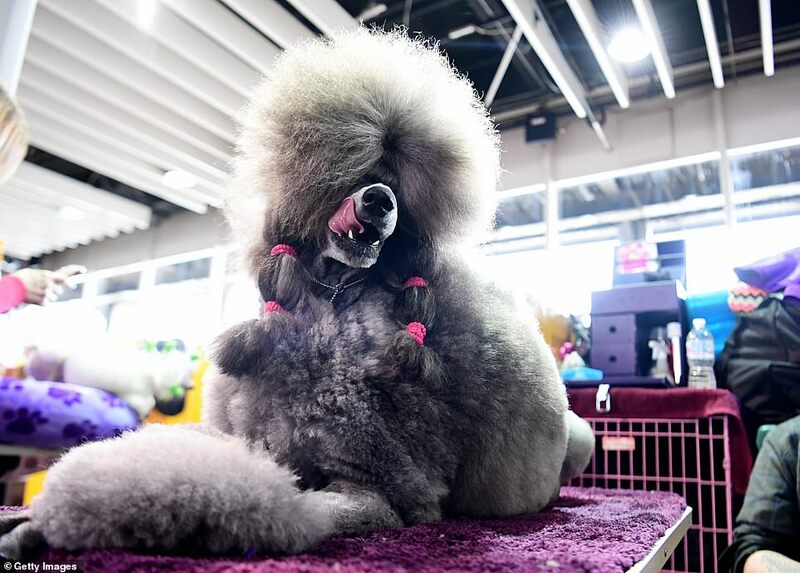 Affenpinschers, Yorkshire terriers, Pyrenean shepherds, Pembroke Welsh corgis and pugs are among the pooches currently rounding the rings at the Westminster Kennel Club illustrious dog show in New York. 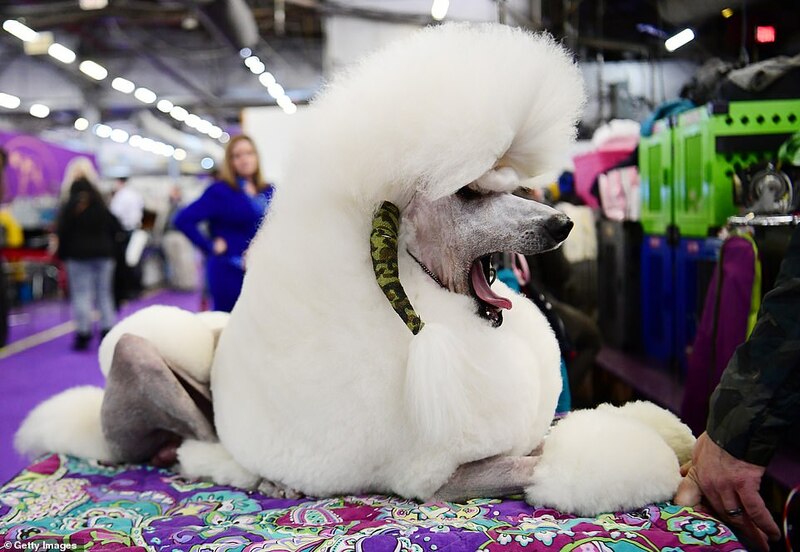 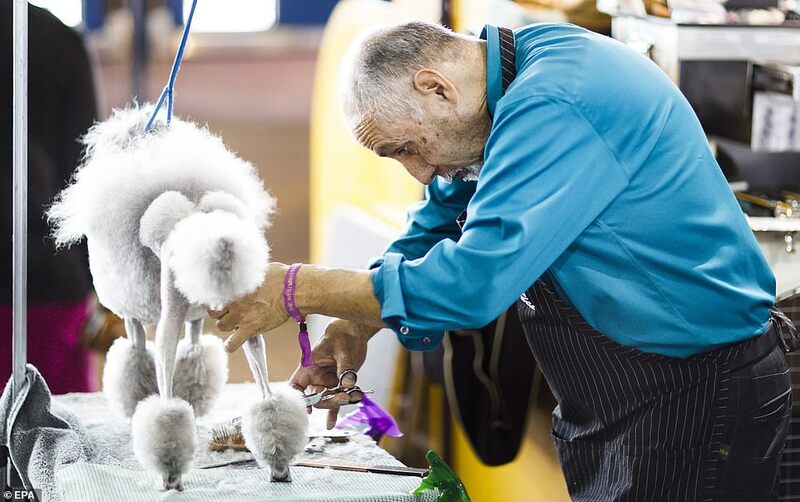 The 143rd Westminster Kennel Club dog show began judging on Monday morning. 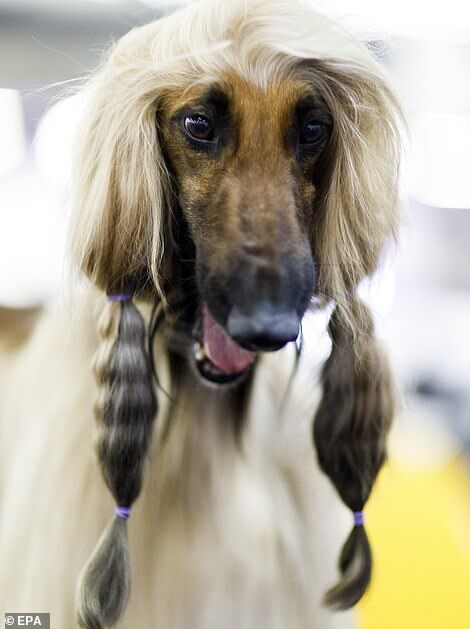 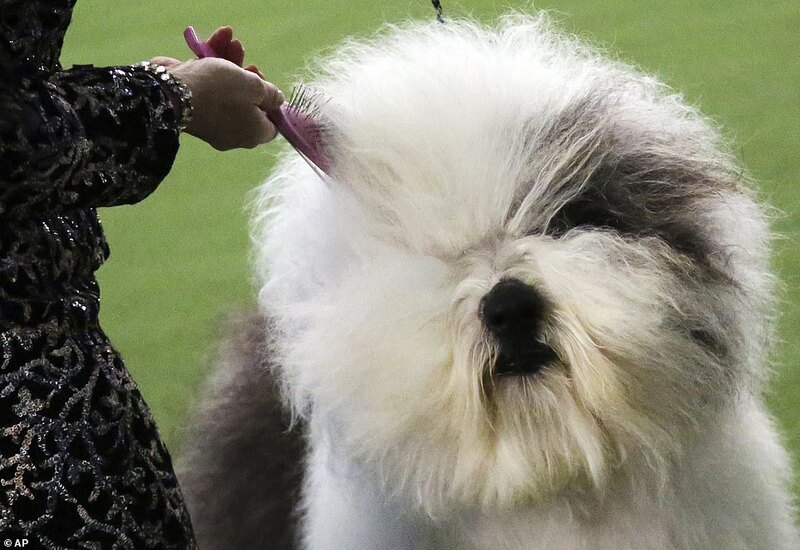 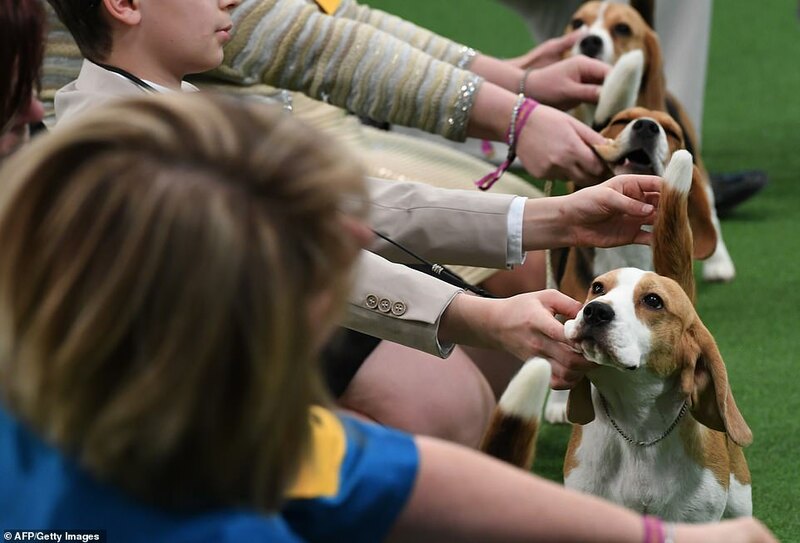 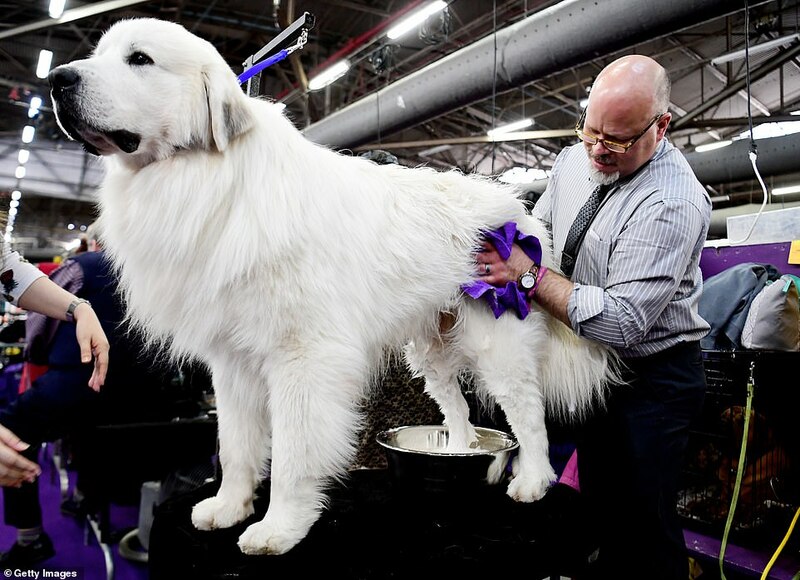 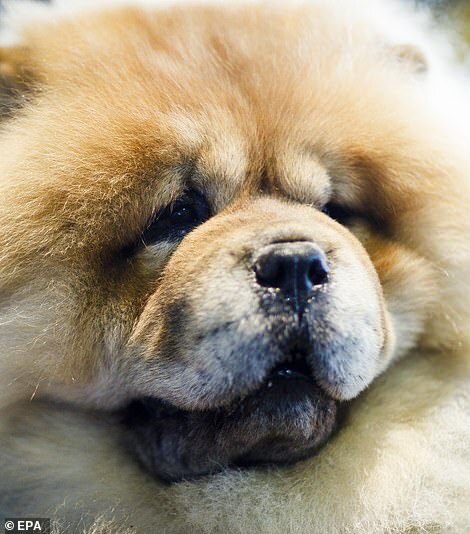 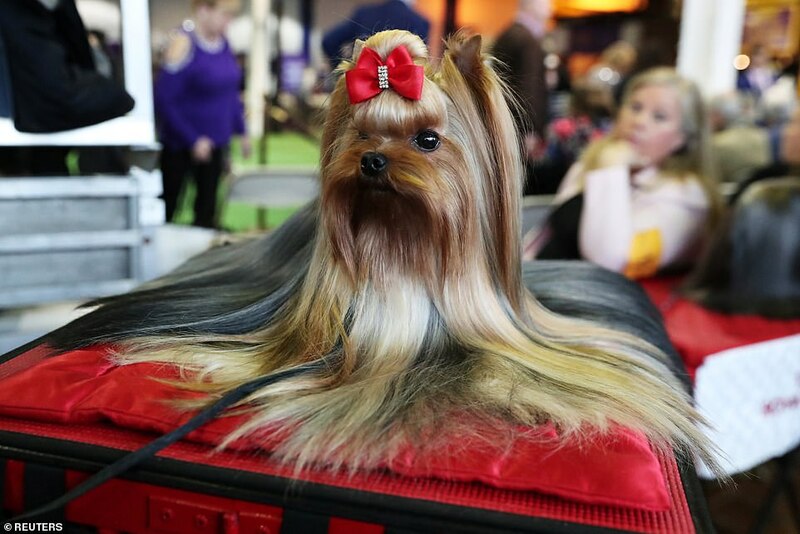 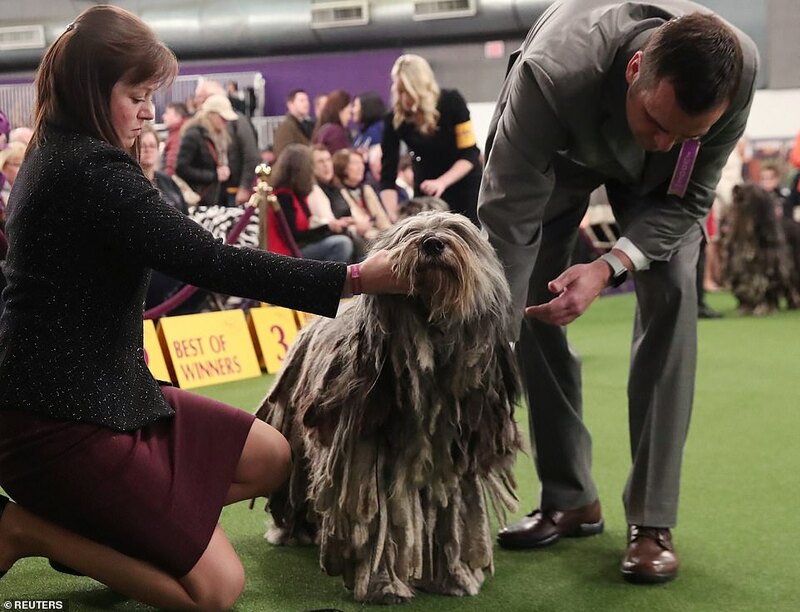 More than 2,800 dogs in 203 breeds and varieties are signed up to compete over two days, leading up to the televised Best in Show award at Madison Square Garden on Tuesday night. 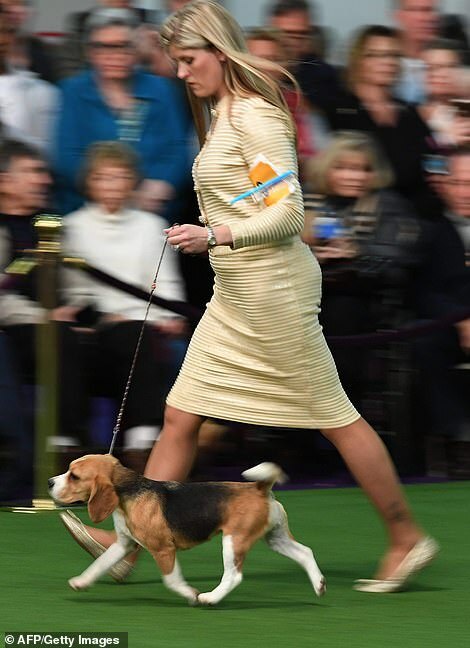 Judge Peter J. 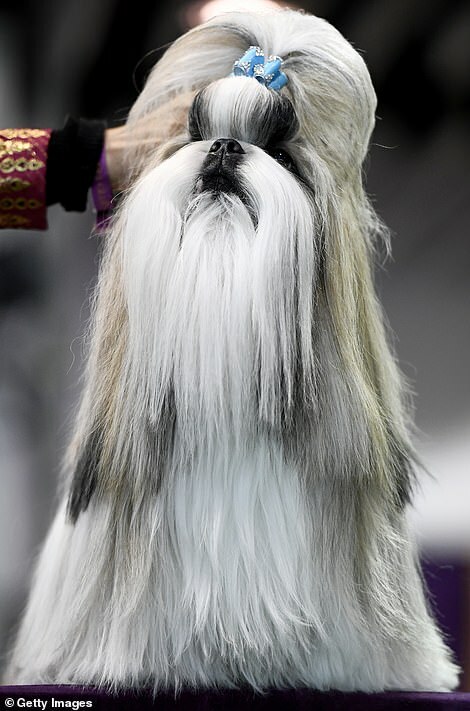 Green is expected to make his pick for best in show at about 11pm. 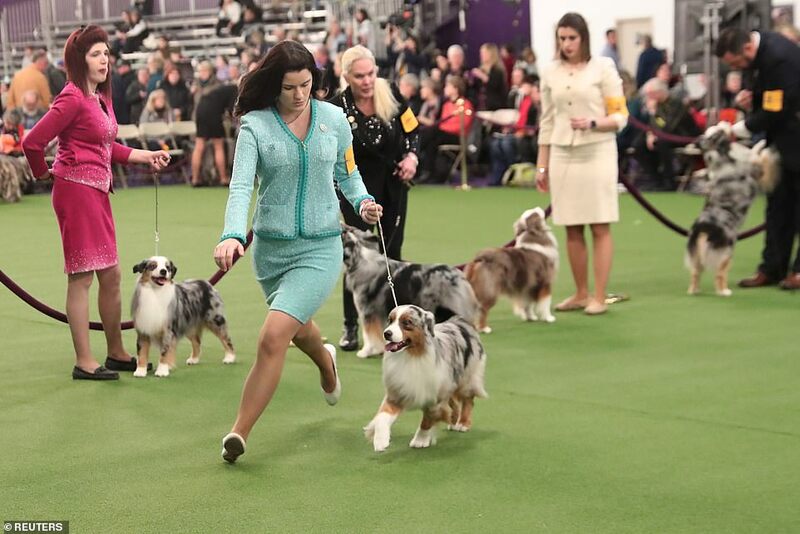 Monday’s judging includes dogs in the herding, hound, non-sporting and toy groups. 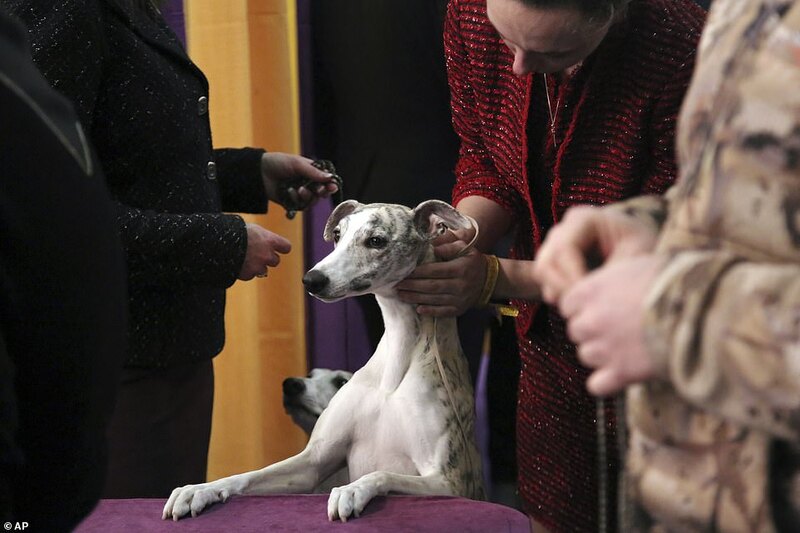 One closely-watched contestant is expected to be Whiskey, a whippet that notched big wins in shows televised on Thanksgiving Day and New Year’s Day. 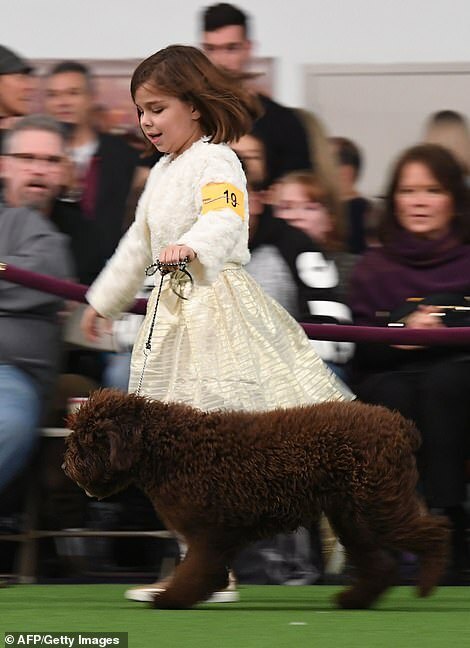 Crowd-pleasing Biggie the pug is back after drawing a big cheer at the Garden last year, Grant the black cocker spaniel is the nation’s top-ranked show dog and Billy the Lhasa apso comes from Hawaii, where he surfs with his owner. 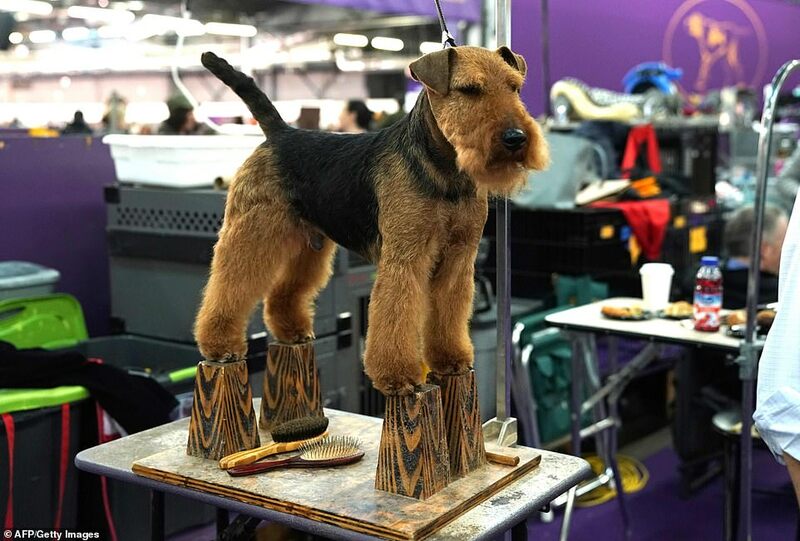 Also vying for the title of top dog is GCH Haystac’s Montgomery The Spartan General – or Monty, for short. 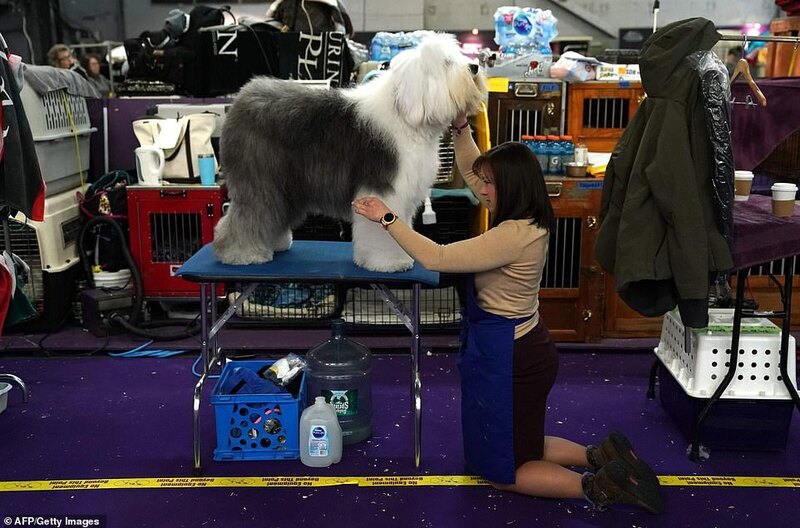 The Old English Sheepdog is named after British Field Marshall Bernard Montgomery, who fought in World War I and II. 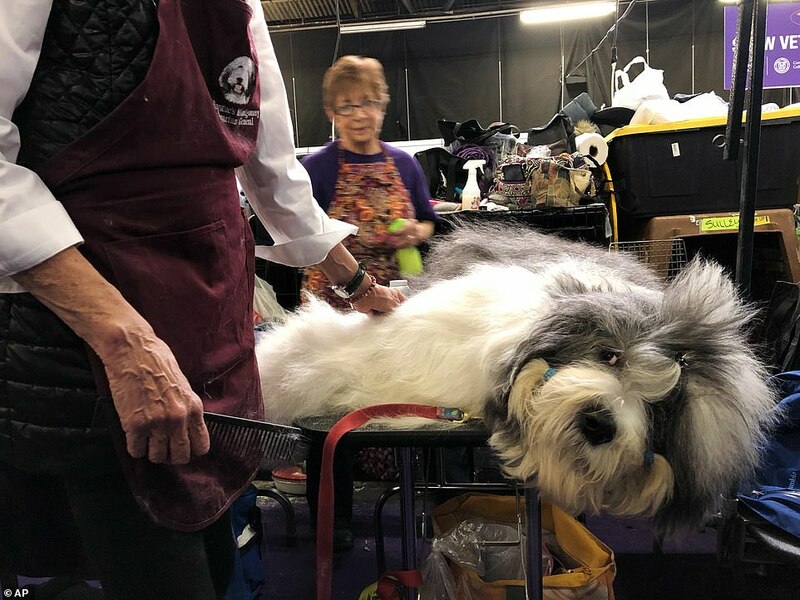 He was spotted taking a pre-show snooze on the on the groomer’s table at a recent competition in Canada, slumbering away while handler Virginia Goscinak brushed out his puffy white coat. 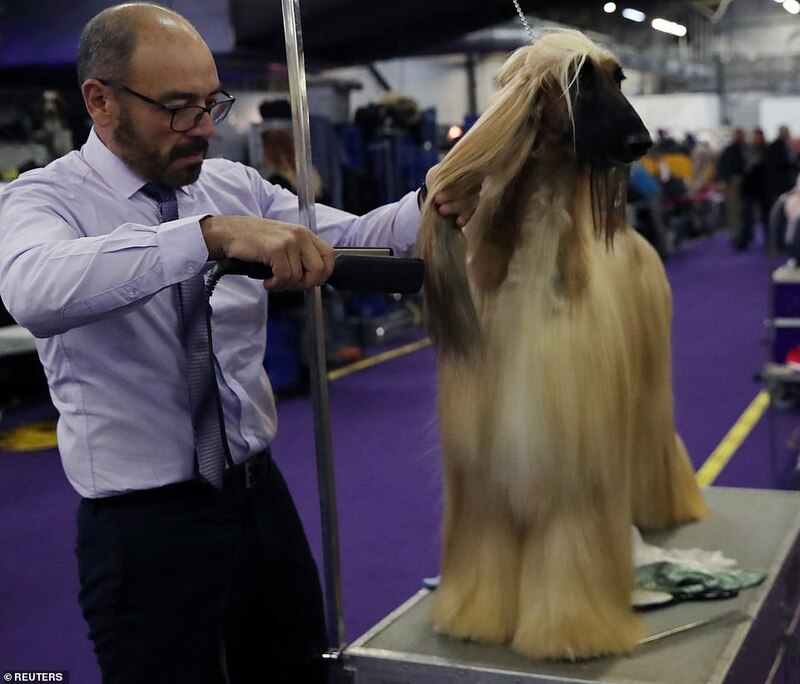 Goscinak woke up the 3-year-old dog shortly before the competition, and Monty went into the ring and came out a Best in Breed winner. 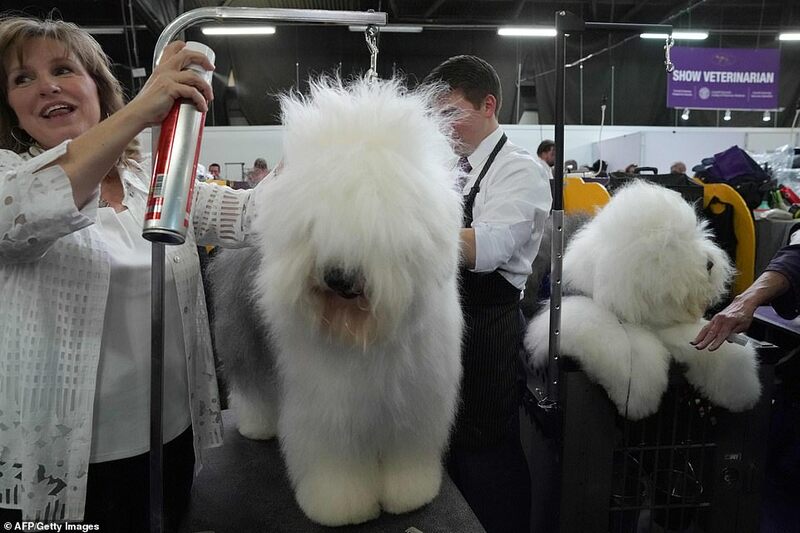 ‘He loves this,’ Goscinak said. 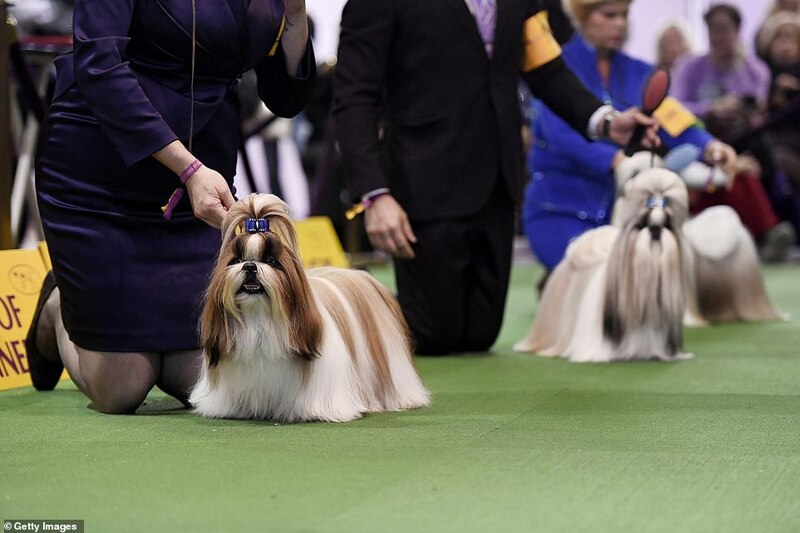 The show also featured an agility championship on Saturday and is holding an obedience competition on Monday. 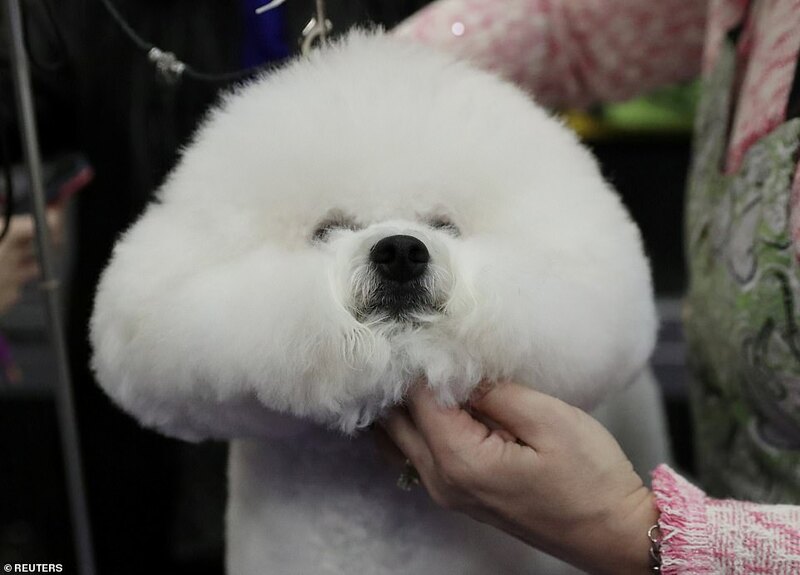 Flynn, the fluffy Bichon Frise, was named top dog at last year’s Westminster dog show. 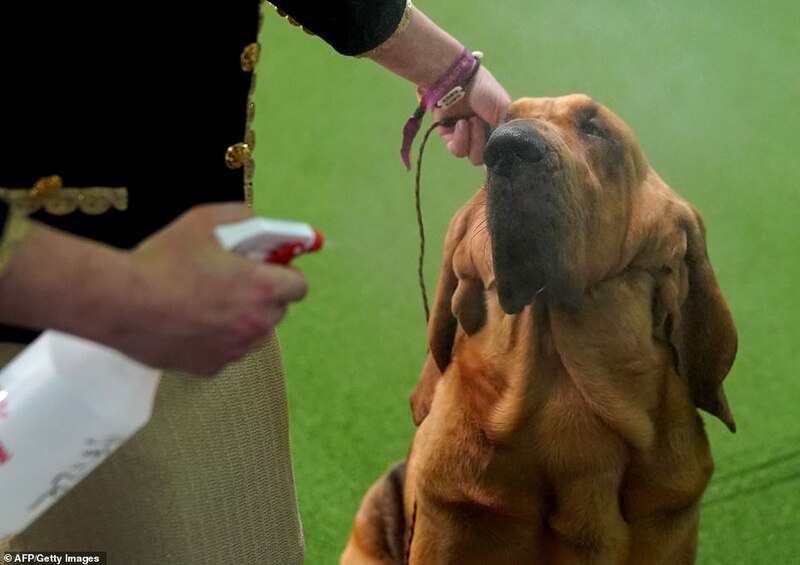 He has since retired. 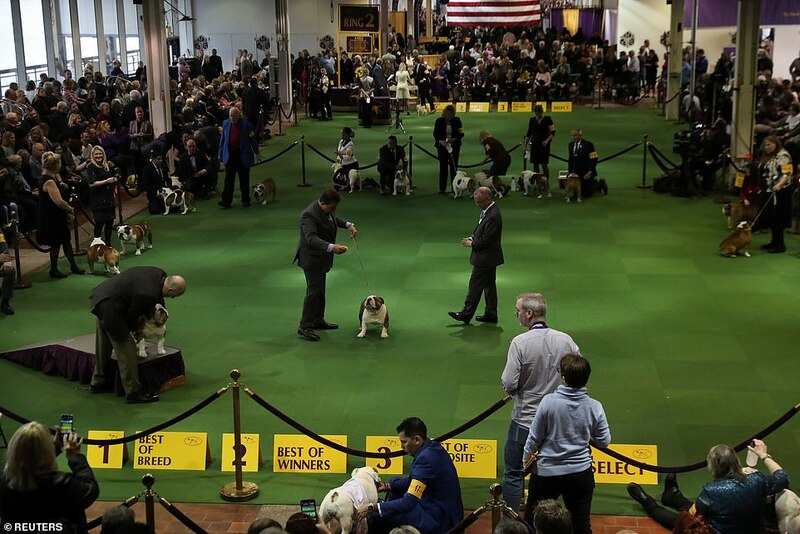 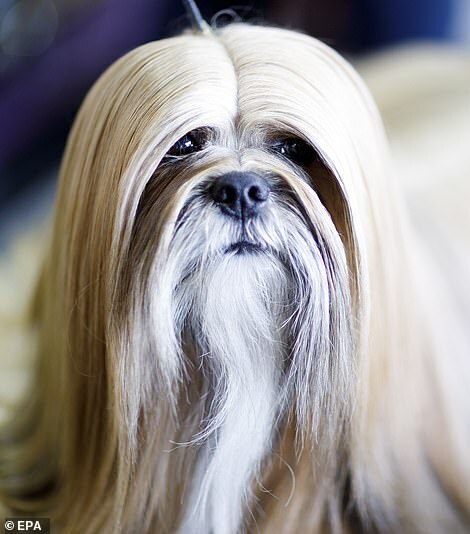 The Westminster Kennel Club is the oldest organization for the sport of purebred dogs in the U.S. 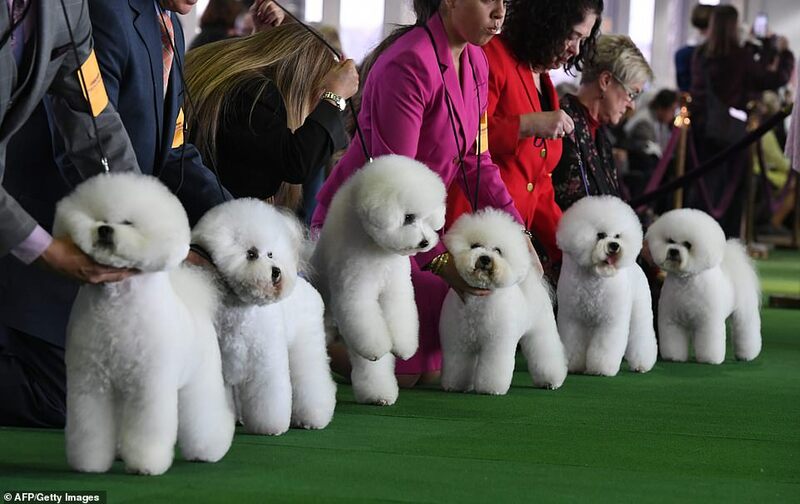 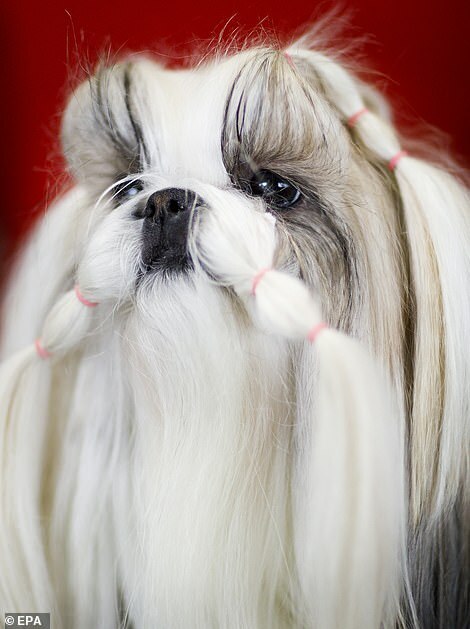 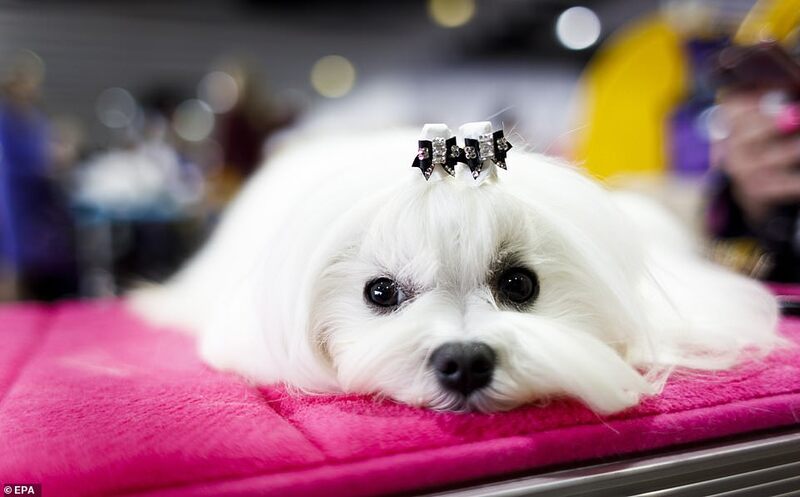 It was established in 1877 and the dog show has been held every year at Madison Square Gardens for more than a century. 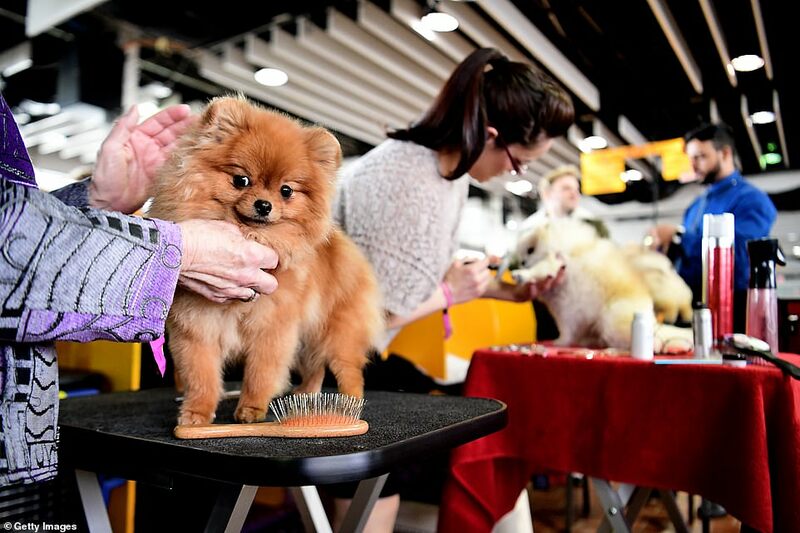 A dog can only participate in the dog show if the breed is recognized by the American Kennel Club.